Bluetooth, sat nav, precision braking, active crash avoidance, cruise control, paddle shifters and seat heater – a new car features a tantalising range of technology. And car buyers are looking for more – they want all the latest devices plus safety and comfort as well as the emotional high of feeling they love their new car. Up-selling brand-loyal customers to the latest model is a challenge for dealerships looking for ways to persuade drivers to ‘try it and buy it’. Persuasive ‘try and buy’ promotions are key to encouraging a driver to take a test drive – a deal-maker or deal-breaker experience in considering the purchase of a new car. And in the incentive mix is the promise of a gift card, to spend on whatever you like – after you’ve experienced the pleasure of a test drive. What driver wouldn’t take up an offer of $100 to test drive a new car? A major car brand partnered with Corporate Prepaid Gift Cards to successfully promote the test drive/gift card experience as a buyer incentive. Vehicle owners who had previously bought a branded vehicle were 50% more likely to accept an invitation to test drive a new model of the same brand when offered a $100 eftpos gift card as an incentive. The test drive invitation was a successful marketing initiative that resulted in more test drives than previous campaigns with the potential to upgrade to a new model of the same brand. The zero-balance gift card came with the promise of being loaded with $100 once they booked and attended a test drive of the new model. With the new car market experiencing a 7.8% sales decline during July 2018 compared with the same month last year, vehicle sales franchises are looking to persuade existing owners to move up to a new model. Passenger car sales fell by 20.2% and Sports Utility Vehicles (SUV) by 1.0 % in comparison with the same month last year. Two light commercial vehicles again led the market for the month, the Toyota Hilux posting sales of 3,747 and the second-placed Ford Ranger with 2,950 sales. Inviting potential purchasers to test drive a car that is a step up from their existing vehicle is a proven strategy to halt the sales decline. The incentive program designed by Corporate Prepaid Gift Cards, proved the pulling power of a gift to prompt consumer behaviour. 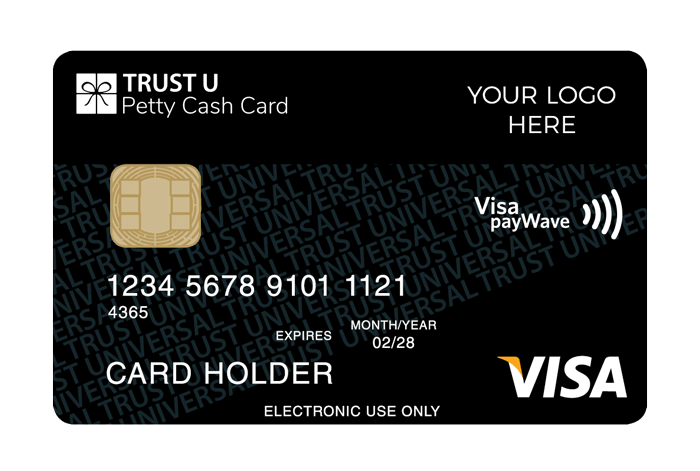 The eftpos cards were selected as a desirable incentive for potential new car customers as they could be custom-branded and sent to potential customers with zero balance – the $100 to be loaded once the test drive was completed. The internet has disrupted the way customers buy cars, reducing the time they spend in dealerships where a salesman can talk face-to-face. Drivers can find detailed vehicle information online before they set foot in a dealership. By the time they arrive at a showroom to view the actual car they have researched, they are already well informed about the car’s technical specifications and capabilities and whether it will suit their lifestyle. They may be considering different makes and models and are looking for subtle differences to finalise their decision making. The emphasis on a test drive has become a critical point in the car buying experience. Inviting a potential customer to try driving a new model is a deal maker or deal breaker. If customers are going to request a test drive anyway, why incentive’s them to do so? Encourage the driver to talk about the car’s features to other people. Recipients are reconnected with the experience of the test drive every time they use the card. 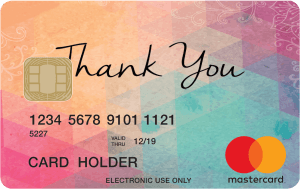 To experience the positive results of rewarding consumers for their participation in your marketing strategy, contact Corporate Prepaid Cards at corporateprepaidgiftcards.com.au. Specialising in custom designs, Corporate Prepaid Cards will deliver cards with your own branding. You choose the provider from eftpos, Visa and Mastercard and create the design using your logo and artwork. You then have the flexibility of being able to order small runs up to 200 cards that can be ready to include in the mailout within 10 business days. To find out more phone Corporate Prepaid Gift Cards on 1300 128 219, or email for more information to info@corporateprepaidgiftcards.com.au. ^VFACTS, the source of the motor vehicle sales data for the ABS, measures vehicles sold by all Federal Chamber of Automotive Industries (FCAI) members. ^^ Australian Automotive Dealer Association (AADA) is the peak industry advocacy body exclusively representing franchised new car dealers in Australia.